2014 Award for Distinguished Achievement and Leadership in Nonprofit and Voluntary Action Research. Invited Keynote Address titled, "NSF from a Grantee's Perspective,"
Thompson-Dyck, K. L., Mayer, B. M., Anderson, K. F., & Galaskiewicz, J. J. (2016). Bringing People Back In: Planning for and Responding to Crisis as a Process Embedded in a Community Context. In Urban Resilience – A Transformative Approach . Yamagata, Y., Yang, J., & Galaskiewicz, J. J. (2017). State Power and Diffusion Processes in the Ratification of Global Environmental Treaties, 1981-2008.. International Environmental Agreements: Politics, Law and Economics . Koch, B. J., Galaskiewicz, J., & Pierson, A. (2015). The Effect of Networks on Organizational Missions. NONPROFIT AND VOLUNTARY SECTOR QUARTERLY , 44(3), 510-538. Koch, B., Galaskiewicz, J. J., & Pierson, A. (2015). Networks and Organizational Missions. Nonprofit and Voluntary Sector Quarterly , 44(3), 510-538. Mosley, J. E., & Galaskiewicz, J. (2015). The Relationship Between Philanthropic Foundation Funding and State-Level Policy in the Era of Welfare Reform. NONPROFIT AND VOLUNTARY SECTOR QUARTERLY , 44(6), 1225-1254. Mosley, J., & Galaskiewicz, J. (2015). The Relationship between Philanthropic Foundation Funding and State-Level Policy in the Era of Welfare Reform.. Nonprofit and Voluntary Sector Quarterly , 44(6), 1225-1254. Yamagata, Y., Yang, J., & Galaskiewicz, J. (2014). A contingency theory of policy innovation: how different theories explain the ratification of the UNFCCC and Kyoto Protocol. INTERNATIONAL ENVIRONMENTAL AGREEMENTS-POLITICS LAW AND ECONOMICS , 13(3), 251-270. Galaskiewicz, J. J. (2013). The Fracturing of the American Corporate Elite.. AMERICAN JOURNAL OF SOCIOLOGY , 119(6), 1807-1809. Galaskiewicz, J. J., Mayorova, O. V., & Duckles, B. M. (2013). Studying the Roles of Nonprofits, Government, and Business in Providing Activities and Services to Youth in the Phoenix Metropolitan Area.. Annals of the American Academy of Political and Social Science , 647, 50-82. Galaskiewicz, J., Mayorova, O. V., & Duckles, B. M. (2013). Studying the Roles of Nonprofits, Government, and Business in Providing Activities and Services to Youth in the Phoenix Metropolitan Area. ANNALS OF THE AMERICAN ACADEMY OF POLITICAL AND SOCIAL SCIENCE , 647(1), 50-82. Yamagata, Y., Yang, J., & Galaskiewicz, J. J. (2013). A Contingency Theory of Policy Innovation: How Different Theories Explain the Ratification of the UNFCCC and Kyoto Protocol.. International Environmental Agreements: Politics, Law and Economics , 13(3), 251-270. Bian, Y., Breiger, R. L., Davis, D., & Galaskiewicz, J. J. (2005). Zhongguo Chengshi de Zhiye, Jieceng, he Guanxiwang [translation of Bian et al., 2005]. Gaifang Shidai . Yanjie Bian, R.L. Breiger, Deborah Davis, and Joseph Galaskiewicz, "Zhongguo Chengshi de Zhiye, Jieceng, he Guanxiwang" [translation of Bian et al., 2005]. Gaifang Shidai 178 (4): 98-118. Galaskiewicz, J. J. (2018, June). Social Capital: The Implications for Democrac Institutions . 2018 Association for Research on Nonprofit Organizations and Voluntary Action-Asia Conference. Hong Kong, People's Republic of China: Faculty of the Social Sciences, University of Hong Kong. Galaskiewicz, J. J., & Zhao, Y. (2018, April). Reconciling Theory and Context in Comparative Nonprofit Research. . Annual West Coast Nonprofit Data Conference. Brigham Young University, Salt Lake City, UT: Brigham Young University. Galaskiewicz, J. J., Freeman Anderson, K., & Thompson-Dyck, K. (2018, April). Spatial Networks and Urban Inequality . American Association of Geographers Annual Meeting. New Orleans, LA: American Association of Geographers. Galaskiewicz, J. J., Freeman Anderson, K., & Thompson-Dyck, K. (2018, August). Spatial Networks, Residential Segregation, and Minority-White Income Inequality across Metropolitan Areas . Annual Meetings of the American Sociological Association. Philadelphia, PA: American Sociological Association. Smith, J., & Galaskiewicz, J. J. (2018, Fall). Network Theories of Inter-Organizational Collaboration: Developments in the Public Administration Literature . Workshop on Organizational Theory and Public Management, SGPP, University of Arizona. 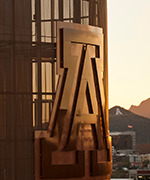 Tucson, Az: School of Government and Public Policy, University of Arizona. Galaskiewicz, J. J. (2017, June). Trump's Budget Proposals and Possible Effects on the Nonprofit Sector . Seminar, Osaka School of International Public Policy, Osaka University. Osaka, Japan: Osaka School of International Public Policy, Osaka University. Galaskiewicz, J. J., & Zhao, Y. (2017, June). Reconciling Theory and Context in Comparative Nonprofit Research. . Plenary Session on Transferring Theories and Policies to the Asian Context: Lost in Transition? 2017 Association for Research on Nonprofit Organizations and Voluntary Action-Asia Conference. Beijing, People's Republic of China: Renmin University of China. Galaskiewicz, J. J., Freeman Anderson, K., & Thompson-Dyck, K. (2017, June). Spatial Networks and Urban Inequality . Seminar, The Business School, Nankai University. Tianjin, People's Republic of China: The Business School, Nankai University. Galaskiewicz, J. J., Freeman Anderson, K., & Thompson-Dyck, K. (2017, June). Spatial Networks and Urban Inequality . XXXVII International Network for Social Network Analysis Conference. Beijing, People's Republic of China: International Network for Social Network Analysis. Galaskiewicz, J. J., Freeman Anderson, K., Thompson-Dyck, K., Duerr, D., Savage, S., Hamar-Martinez, J., & Inouye, J. (2017, October). Growth and Decline of Community Based Organizations Before, During, and After the Great Recession . Seminar, Lilly Family School of Philanthropy, Indiana University. Indianapolis, IN: Lilly Family School of Philanthropy, Indiana University. Galaskiewicz, J. J., Freeman Anderson, K., & Thompson-Dyck, K. (2016, April). Spatial Capital: Applications for the Study of Urban Inequality . International Sunbelt Social Network Conference. Newport Beach, CA: International Network for Social Network Analysis. Galaskiewicz, J. J., Freeman Anderson, K., & Thompson-Dyck, K. (2016, August). Growth and Decline of Community Based Organizations Before, During, and After the Great Recession . Annual Meetings of the Academy of Management. Anaheim, California. Galaskiewicz, J. J., Freeman Anderson, K., & Thompson-Dyck, K. (2016, March). The Spatial Distribution of Youth-serving Organizations in the Phoenix Urbanized Area, A Longitudinal Study, 2003-2013 . Annual Meetings of the Urban Affairs Association. San Diego, CA: Urban Affairs Association. Galaskiewicz, J. J., Freeman Anderson, K., & Thompson-Dyck, K. (2016, May). Spatial Capital: Applications for the Study of Urban Inequality . International Conference of Social Network Analysis, Shanghai University. Shanghai, PRC: Shanghai University, The School of Sociology and Political Science. Galaskiewicz, J. J., Freeman Anderson, K., & Thompson-Dyck, K. (2016, September). Growth and Decline of Community Based Organizations Before, During, and After the Great Recession . Strategy and Organization Area Seminar, McGill University. Montreal, Canada: McGill University, Desautels Faculty of Management. Galaskiewicz, J. J., Freeman Anderson, K., Thompson-Dyck, K., Duerr, D., Savage, S. V., & Inouye, J. (2016, August). Organizational Dimensions of Spatial Inequality: Illustrations from the Phoenix-Mesa Urbanized Area. . Annual Meetings of the American Sociological Association. Seattle, Washington. Yamagata, Y., Yang, J., & Galaskiewicz, J. J. (2016, May). State Power and Diffusion Processes in the Ratification of Global Environmental Treaties, 1981-2008. . Department of Economic Sociology, Shanghai University of Finance and Economics. Peking, PRC: Shanghai University of Finance and Economics, Department of Economic Sociology. Yamagata, Y., Yang, J., & Galaskiewicz, J. J. (2016, May). State Power and Diffusion Processes in the Ratification of Global Environmental Treaties, 1981-2008. . Department of Sociology Speaker Series, Peking University. Peking, PRC: Peking University, Department of Sociology. Galaskiewicz, J. J., Anderson, K., & Thompson-Dyck, K. (2015, June). Where Services Are Located Matter – But Not for Everyone Equally . Meetings of the Public Management Research Association. Minneapolis, MN: Public Management Research Association. Galaskiewicz, J., Thompson-Dyck, K., & Anderson, K. (2015, November). The Great Recession Washes across the Desert: A Study of Nonprofits, Governments, and Businesses Before, During, and After the Great Recession. . Annual Meetings of the Association for Research on Nonprofit Organizations and Voluntary Action. Chicago, IL: The Association for research on Nonprofit Organizations and Voluntary Action. Galaskiewicz, J. J. (2014, August). Honoring the Life and Work of Keith Provan . Plenary Honoring the Life and Work of Keith Provan, Annual Meetings of the Academy of Management. Philadelphia: Public and Nonprofit Division, The Academy of Management. Galaskiewicz, J. J. (2014, August). Issues and Challenges for the Gatekeepers . Policy and Research Workshop, Big Data for Social Science Research: Availability, Accessibility and Research Possibilities, Annual Meeting of the American Sociological Association. San Francisco, CA: American Sociological Association. Galaskiewicz, J. J. (2014, February). The Business of Caring . Future of Social Enterprise Seminar Series, Harvard Business School. Boston, MA: Harvard Business School. Galaskiewicz, J. J., Anderson, K., & Thompson-Dyck, K. (2014, Fall). Communities Mobilizing to Help Themselves: A Social Structural Theory of Community Organizing and Effectiveness. . Workshop on Surprise Resilient Scenarios: Emergent Dialogue Approach organized by the Global Carbon Project-Tsukuba International Office in collaboration with X-Center Network and Japan Industrial Management Association. Okinawa, Japan (paper presented via Skype from Tucson): National Institute for Environmental Science, Tsukuba, Japan. Galaskiewicz, J. J., Anderson, K., Thompson-Dyck, K., & Duerr, D. (2014, Fall). Networks through Time and Space . Session on the Future of Social Networks, Macro-Organizational Behavior Seminar. Harvard Business School, Boston, MA: Marco-Organizational Behavior Seminar. Galaskiewicz, J. J., Anderson, K., Thompson-Dyck, K., Duerr, D., & Savage, S. (2014, July). The Great Recession Washes Across the Desert: A Study of Neighborhood Organizational Resources and Social Disorganization in the Phoenix-Mesa Urbanized Area . XVIII ISA World Congress of Sociology. Yokohama, Japan: International Sociological Association. Galaskiewicz, J. J., Duerr, D., Thompson-Dyck, K., & Anderson, K. (2014, March). Spatial Capital: Applications to our Understanding of Spatial Inequality . Urban Affairs Association 44th Annual Meeting. San Antonio, TX: Urban Affairs Association. Galaskiewicz, J. J., Thompson-Dyck, K., Savage, S., & Inouye, J. (2014, July). The Spatial Capital of Urban and Suburban Families: The Effects of Place on Children's Activities and Parental Satisfaction . XVIII ISA World Congress of Sociology. Yokohama, Japan: International Sociological Associatioin. Galaskiewicz, J. J. (2013, May). Doing Cross-Sector Quantitative Research: Is Comparative Analysis Reasonable? . Social Enterprise @ Goizueta 2013 Research Colloquium. Atlanta, GA: Goizueta School of Business, Emory University. Galaskiewicz, J. J., & Anheier, H. (2013, April). West Coast Nonprofit Data Conference Retrospective . 10th West Coast Nonprofit Data Conference. University of California Berkeley Faculty Club: University of California, School of Social Welfare, Center for Social Services Research. Galaskiewicz, J. J., Duerr, D., Thompson-Dyck, K., & Anderson, K. (2013, August). The Impact of the Great Recession on Communities' Organizational Resources. . Annual Meetings of the American Sociological Association. New York, NY: American Sociological Association. Galaskiewicz, J. J., Duerr, D., Thompson-Dyck, K., & Anderson, K. (2013, February). The Impact of the Great Recession on Communities' Organizational Resources . Rutgers Business School Seminar. Newark, NJ: Rutgers Business School, Department of Management & Global Business. Galaskiewicz, J. J., Savage, S., Duerr, D., Inouye, J., Thompson-Dyck, K., & Anderson, K. (2013, July). Toward a Theory of Spatial Capital: Applications to the Urban Context . Colloquium Series, Graduate School of Environmental Studies, Tohoku University, Japan. Sendai, Japan: Tohoku University, Graduate School of Environmental Studies. Galaskiewicz, J. J., Savage, S., Duerr, D., Thompson-Dyck, K., & Anderson, K. (2013, June). Toward a Theory of Spatial and Social Capital in the Context of the Urban Community . International Network for Social Network Analysis 2013 Conference. Xi'an, PRC: International Network for Social Network Analysis. Soss, J., Galaskiewicz, J., Marwell, N., & Allard, S. (2013, October). Panel: Social Services . Governance and Politics in the Changing American City. Radcliffe Institute for Advanced Study, Harvard University: Boston Area Research Initiative, Harvard University. Yamagata, Y., Yang, J., & Galaskiewicz, J. J. (2013, July). Bringing Power Back into Political Networks: An Application to the Ratification of Environmental Treaties . Paper presented at the Keynote Panel on SNA Advancements, International Network for Social Network Analysis 2013 Conference. Xi'an, PRC: International Network for Social Network Analysis. Yamagata, Y., Yang, J., & Galaskiewicz, J. J. (2013, March). The Contingent Effect of Social Influence in Networks of Environmental Agreements . 54th Annual Convention of the International Studies Association. San Francisco, CA: International Studies Association. Galaskiewicz, J. J. (2014. Book review: The Fracturing of the American Corporate Elite by Mark Mizruchi. American Journal of Sociology. Galaskiewicz, J. J. (2016, June). The Work and Legacy of Keith Provan.. Management Matters: The Public Management Research Association Newsletter. Galaskiewicz, J. J. (2014, April). Concluding Remarks. Concluding session, 10th Annual West Coast Nonprofit Data Conference, The Price School, University of Southern California. Galaskiewicz, J. J. (2014, August). Discussant. Thematic Session: Inequality and Philanthropy, Annual Meetings of the American Sociological Association, San Francisco, CA. Galaskiewicz, J. J. (2014, November). Discussant. Session on Hybridity and Nonprofit Organizations, Annual Meetings of the Association for Research on Nonprofit Organziations and Voluntary Action, Denver, CO.